All Fools' Day - Saturday, April 1, 2017. Also known as April Fool's Day. Don't get caught being foolish. Library Book Sale - Saturday through Sunday, April 1 - 9, 2017. Read Again Bookstore, a function of Friends of Washoe County Library, holds several book sales during the year. Sales are in the book store next door to the Sierra View Library in the Reno Town Mall. A day for Friends members only is on Friday, March 31, from 3 p.m. to 6 p.m. If you aren't a member, you can join at the door. All other days are 10 a.m. to 5 p.m.
Reno 1868 FC Soccer - Saturday, April 1, 2017. Reno's new professional soccer team, Reno 1868 FC, will be hosting the Vancouver Whitecaps FC 2 at Greater Nevada Field. The game starts at 7 p.m. Single-game tickets, group tickets and other options are available online. Grow Your Own, Nevada! Gardening Classes - Tuesday, April 4, 2017, 6 p.m. to 8 p.m. Grow Your Own, Nevada! is for homeowners and other small scale growers. It concentrates on imparting basic horticultural information and also provides information about new and alternative growing methods. Workshops will be held twice weekly through April, on Tuesday and Thursday evenings. The registration fee for classes is $15 each or $60 for all 8 classes. Discover Your Parks Free Walks - Thursday, April 6, 2017. The first walk in the 2017 series will be at Mayberry Park and Tom Cooke Trailhead. 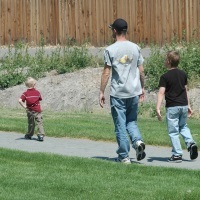 More walks at Reno and Sparks parks will be held every Thursday evening through September. Truckee Meadows Parks Foundation is leading these free walks. Each week, you can explore a new location and learn about the unique and varied ecology and history of parks in our area. Walks are open to everyone. Healthy Parks Healthy People Day - Saturday, April 8, 2017, 10 a.m. to 2 p.m. Truckee Meadows Parks Foundation, in partnership with Washoe County, presents this free family-friendly day of fun at Bartley Ranch Regional Park in Reno. The event will include games and activities presented by local non-profit organizations and regional land management agencies. The goal is to celebrate regional parks and public lands, while promoting the concept that healthy parks and open spaces lead to healthy people. There will be a free 1K Kids Fun Run and a 5K Fun Run and Walk that is a fund-raiser. Register online at the website. (775) 453-0789. Hands ON! Second Saturdays - Saturday, April 8, 2017. Come to the Nevada Museum of Art for a day of fun family activities and free admission for all. There is a different theme each month. Enjoy live performances, hands-on art activities, storytelling and live performances. Science Saturdays at the National Automobile Museum - Saturday, April 8, 2017. Join the adventure with "Night of the Titanic." Admission is $12 per person for children and adults, which also includes admission to the Museum and free refreshments. For participants age 8 and up. Children under 13 must be accompanied by an adult. The event is from 9:30 a.m. to 1 p.m. Pre-registration is required approximately two days before the event. Call the Museum at (775) 333-9300 for more information. Heels & Hounds, a Benefit for Homeless Pets - Sunday, April 9, 2017. 10 a.m. to 2 p.m. At the Atlantis Hotel Casino in Reno. Party for the pooches at Nevada Humane Society's Heels & Hounds, a fun-filled extravaganza to benefit homeless pets. It's everything women want - from boutique shopping to an exciting fashion show - plus you get to wear your best heels and enjoy complimentary champagne all morning long. Tickets are available online. Tables may be purchased at a variety of price levels. Individual tickets are $75. All proceeds benefit homeless pets. For sponsorship, vendor, or more event information, call (775) 856-2000 x320. Reno Aces Baseball - Tuesday, April 11, 2017. 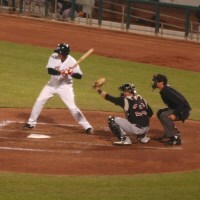 The Reno Aces' first season home game at Greater Nevada Field is vs. the Albuquerque Isotopes. First pitch will be at 6:35 p.m. Four games against the Isotopes will be followed by two vs. the El Paso Chihuahuas, making a 7 game home stand to kick off the 2017 baseball season in Reno. Free Admission to National Parks - April 15 - 16 and 22 - 23, 2017. During National Park Week, it's free weekend admission to all parks and other sites operated by the National Park Service. This includes places around the west like Yosemite, Lassen Volcanic, Death Valley, and Great Basin. Other fees, such as for overnight camping and cabin rentals, will still apply. Reno Wine Walk - Saturday, April 15, 2017. The Riverwalk Merchants present this fun event every third Saturday of the month. Visit any of the participating merchants with $20 and receive your wine glass and hand stamp (with photo ID), then make the rounds sampling wines at numerous businesses in the area. This is a 21+ event. Pets and strollers are not advised. For more information, call 775-825-WALK(9255). Free Easter Egg Hunts - Saturday, April 15, 2017. 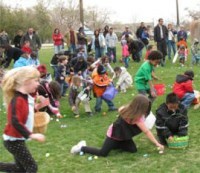 There are several free Easter Egg hunts around Reno and up at Lake Tahoe on this day before Easter. Some of these are big productions. Check out my list to find one near you. Note that a few are on Easter Sunday. Easter Brunch and Dining - Sunday, April 16, 2017. You don't have to cook up a big meal on this holiday. 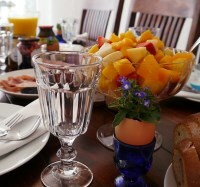 Enjoy Easter Sunday brunch or dinner at any of several venues around the Reno / Sparks area. Teen Art Night at the Nevada Museum of Art - Friday, April 21, 2017, 7 p.m. to 10 p.m. Join the Nevada Museum of Art and the Holland Project for the annual teen-takeover featuring extended gallery hours, hands-on art stations inspired by artists Peter Stichbury and Trevor Paglen, live music and DJs, a portable planetarium presented by the Fleischmann Planetarium and much more. $10 per person. Earth Day - Saturday, April 22, 2017. Monthly Reno Beer Crawl - Saturday, April 22, 2017. This event is in downtown Reno where all of the participating bars, pubs, and restaurants are within walking (or crawling) distance. It costs $5 to participate and you can just show up at one of the start bars - advance tickets not required. Crawling is from 2 p.m. to 6 p.m.
UNR Day at the Museum - Saturday, April 22, 2017. The Day at the Museum starts at 10 a.m. features a self-guided tour of museums on or near the University of Nevada, Reno campus. The free event is geared for families or anyone interested in art, history, earth science, life science and even outer space. This is a diverse group that is listed on the "University District Museums" page. Visit "Museums, Culture, and Shows in Reno / Sparks, Nevada" for additional information. Fido Fest, a Celebration of All Things Dog - Saturday, April 22, 2017, 10 a.m. to 2 p.m. This event features everything for the dog lover (and pet lover) by bringing together local businesses and adoptable dogs for one big celebration. Fido Fest is hosted by and at The Summit in South Reno. Adoptable dogs and vendors will be located in the Center Plaza between Vans and Tilly's. There will be food trucks, specials, give-aways, and live entertainment. Admission is free. The Summit is located at the intersection of I-580 and Mt. Rose Highway. Reno Earth Day Celebration - Sunday, April 23, 2017. Come to Idlewild Park between 10 a.m. and 6 p.m. to enjoy Reno's big annual Earth Day celebration. There will be numerous events, exhibitors, food and drink, live entertainment, and activities for both kids and adults. This great Reno event just gets bigger and better every year. 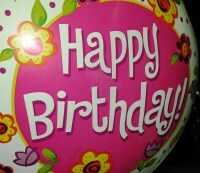 Check my article for more Earth Day events in Reno and up at Tahoe Truckee and South Lake Tahoe. Baby Animal Days at Andelin Family Farm - Friday and Saturday, April 21 - 22 and 28 - 29, 2017, 10 a.m. to 7 p.m. This event features farm babies, including chicks, ducklings, bunnies, piglets, lambs, goat kids and calves along with our other friendly and cute farm animals. Farm visitors will be able to hold and pet chicks, as well as interact with and pet goat kids, lambs and calves. Admission is $6 per person and includes hay ride, cow train ride, fun track, face painting, bunny hop activity, straw bale maze, barn yard activities and all the fun baby animals. Pony and horse rides are $5 per ride. The farm is at 8100 Pyramid Way in Sparks. (775) 530-8032. Spring 2017 Nevada Women's Expo - April 22 - 23, 2017. Billed as the premier consumer show for women of all ages and lifestyles and businesses that market to them. Offering women the best in fashion, style, health, careers, business, lifestyle, entertainment and more. The event is at the Grand Sierra Resort, 2500 E. 2nd Street in Reno. Wildflower Walk at Washoe Lake State Park - Sunday, April 23, 2017, 1 p.m. to 2:30 p.m. See Washoe Lake in bloom. Join park staff for a moderate, 1.5 mile guided hike to the gazebo on Deadman's Creek Trail. Wear good hiking boots and dress for the weather. Binoculars and a camera are recommended. Participation is free, but there is a park entrance fee of $7, $5 for Nevada residents (cash or check only). Take Exit 44 from I-580 and drive north approximately four miles on Eastlake Blvd. The park entrance will be on your left. After paying the entrance fee at the booth, turn left, and meet at the Maze parking lot (the first parking lot on the right). For an idea of what might be blooming, go to "Wildflowers of the Reno Area." 55th Annual Reno Jazz Festival - Thursday to Saturday, April 27 - 29, 2017. The Reno Jazz Festival brings to Reno both talented students and renowned professional artists. There will also be many workshops with some of the finest clinicians and performers in the country. Concerts will be at venues on campus at the University of Nevada, Reno. The website has complete information about the concerts. Tickets can be purchased online or by calling 1-800-325-7328. There is no convenience fee on tickets purchased in person at the Lawlor Events Center Box Office. Cinco de Mayo Celebration - Saturday and Sunday, April 29 - 30, 2017. Northern Nevada's biggest annual celebration of Latino heritage is at the Grand Sierra Resort in Reno. Come enjoy live music, Mexican dancing horses, food and drink, arts and crafts, carnival rides, live music, games, and much more. Admission is $10 for adults, $5 for kids under 12 and seniors 65+. The Grand Sierra Resort is at 2500 E. 2nd Street in Reno. The Newlands District - Sunday, April 30, 2017. This free program is brought to you by the Historic Reno Preservation Society and is one of a series. All programs start at 1 p.m. and are held in the basement auditorium of the Washoe County Library in Reno at 301 S. Center Street. These presentations are popular - arrive early if you want to get in. April 2017 at the Pioneer Center - April shows at the Pioneer Center for the Performing Arts include those listed below. 46th Annual Virginia City Grand Prix - Saturday and Sunday, April 29 - 30, 2017. Experience legendary racing in historic Virginia City where thousands of motocross riders challenge themselves in the surrounding hills. Racing takes place both days. This being Virginia City, there will be lots of related activities and things to do while the motocross racers are zipping around the rugged high desert. PTSD Discussion Group Meetings - April 12 and 26, 2017, 6 p.m. VFW Post 9211 is sponsoring a PTSD discussion group that meets at the historic "Battle Born" bunker post every 2nd and 4th Wednesday. All individuals with a diagnosis of PTSD are invited to join this group. This is NOT restricted to veterans or VFW members. Any member of the community is invited, including civilians and service persons such police, firefighters, and medical personnel. VFW Post 9211 is located a block west of the Virginia Street / Moana lane intersection. The Post number is (775) 825-7007. Direct questions to the Post Surgeon, Dr. Schwartz, at (775) 409-4561.